Migrants from Central America prepare to bed down for the night in the main square in Huixtla, in the southeastern state of Chiapas, Mexico, Oct. 22, 2018. The Trump administration enacted new immigration rules on Nov. 8 that give President Donald Trump vast new authority to deny asylum to virtually any migrant who crosses the border illegally, invoking national security powers meant to protect the U.S. against threats from abroad. WASHINGTON — President Donald Trump proclaimed Friday that the illegal entry of immigrants across the southern border of the United States is detrimental to the national interest, triggering tough changes that will deny asylum to all migrants who do not enter through official border crossings. The proclamation, issued just moments before Trump left the White House for a weekend trip to Paris, suspends asylum rights for all immigrants who attempt to cross into the United States illegally, though officials said it was aimed primarily at several thousand migrants traveling north through Mexico in caravans. “The continuing and threatened mass migration of aliens with no basis for admission into the United States through our southern border has precipitated a crisis and undermines the integrity of our borders,” Trump wrote in the proclamation. Administration officials said the suspension of asylum rights would be in effect for at least 90 days, but could end sooner if Mexico’s government would allow the United States to return those who illegally cross the border from Mexico, regardless of their home country — a proposal Mexico has long rejected. 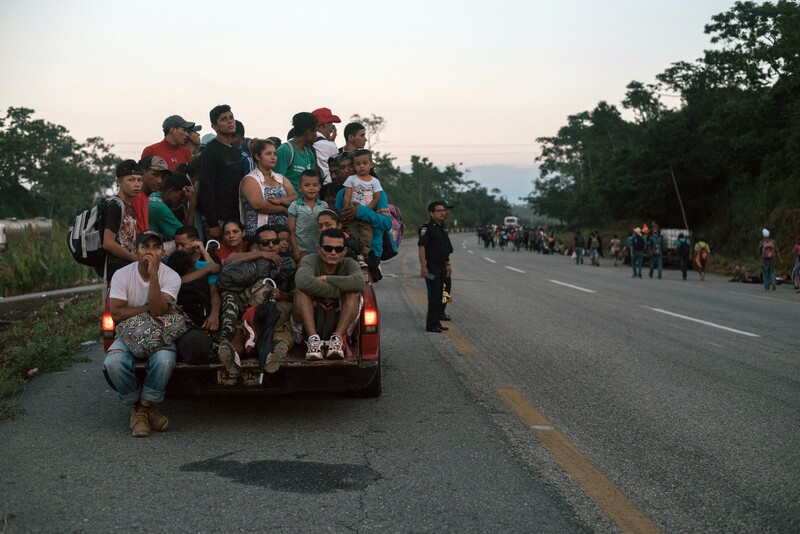 A group of migrants from Central America riding in the back of a truck on the outskirts of Huixtla, Mexico, wait to proceed on their journey north, on Oct. 24, 2018. President Donald Trump proclaimed on Nov. 9 that the illegal entry of immigrants across the southern border of the U.S. is detrimental to the national interest, triggering tough changes that will deny asylum to all migrants who do not enter through official border crossings. Trump’s proclamation is a radical departure from that tradition. With the exception of children arriving without parents, officials said, all migrants who cross illegally would automatically be denied asylum. Officials said migrants would be allowed to seek other protections if they could prove a risk of being tortured in their home countries. Those claims are purposely harder to prove. The only way to seek asylum will be to arrive at an official border crossing. 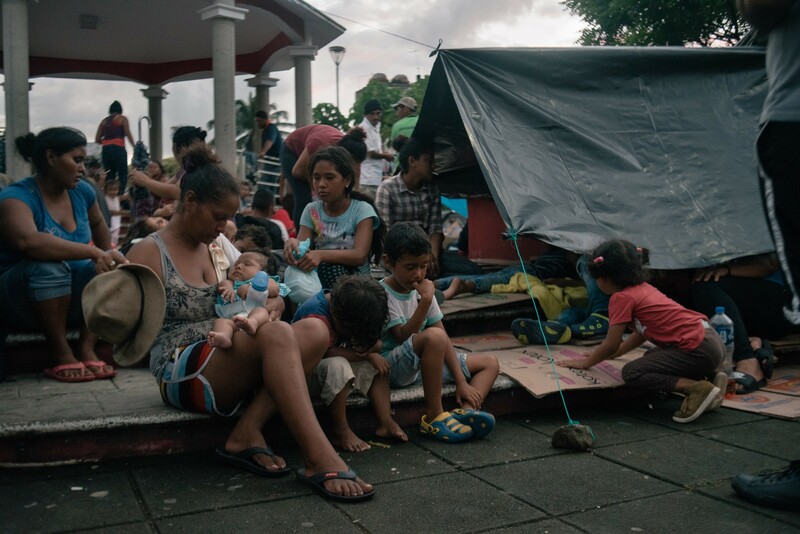 In the proclamation, Trump acknowledged the problem and directed his administration “to commit additional resources” to processing asylum-seekers.